Subtitle: My Life as an Identical Twin and What I’ve Learned about Everyone’s Struggle to be Singular. 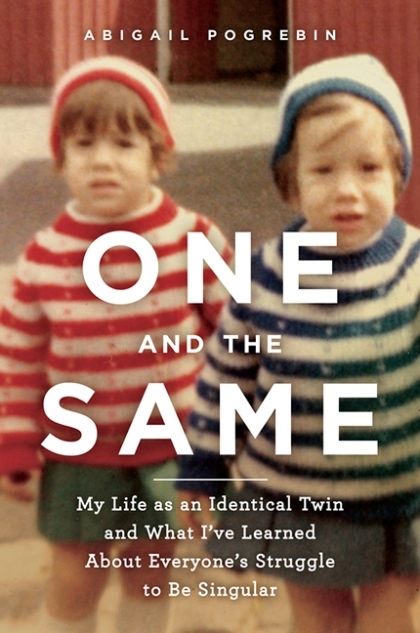 I happen to be one half of identical twins, and read this non-fiction earlier this summer, but for various reasons, had not got around to posting a review or thoughts about it. This book was a good combination of both personal experience (the author is an identical twin) and science research on twins and it was fascinating to read about some of the more recent studies in twin research. And I enjoy “being a twin” when I visit my sister or she visits me – we still look alike enough for strangers to comment (although we try not to dress the same which is quite hard as we like the same clothes and what looks good on her will look good on me, so shopping is easy.) In college, we lived in different rooms but the same dorm, and we ended up wearing the same clothes quite a bit accidentally (mostly because we tended to like the same things.) So – the rule was that the person who got up earlier could keep the clothes on and the other one who got up later had to go back to their room and change. Honesty system, but it worked. Strange but true: we went to a private girls’ school (loved it), and there were five and a half sets of twins in our school year. (The half was fraternal and so the boy went to another school.) Three sets were identical (all girls, bien sur) and then two fraternals (one set of fraternal girls and one boy/girl pair). This was way before the time of IVF so multiples were still quite rare in the general population. The teachers could NEVER get us all sorted out (apart from the fraternals). Fun and annoying in equal quantities at times. * The “swimming” bit refers to the fact that my sister and I were both student athletes on the university swimming team. Thus, we usually had one or more of the following most of the time when we biked around: wet hair, hungry, big duffel bags full of gear, going to/from swimming practice, and/or wearing some item of swim team-related clothing (t-shirt etc.). This entry was posted in Uncategorized and tagged British, Non-fiction, twins, women by lizipaulk. Bookmark the permalink.